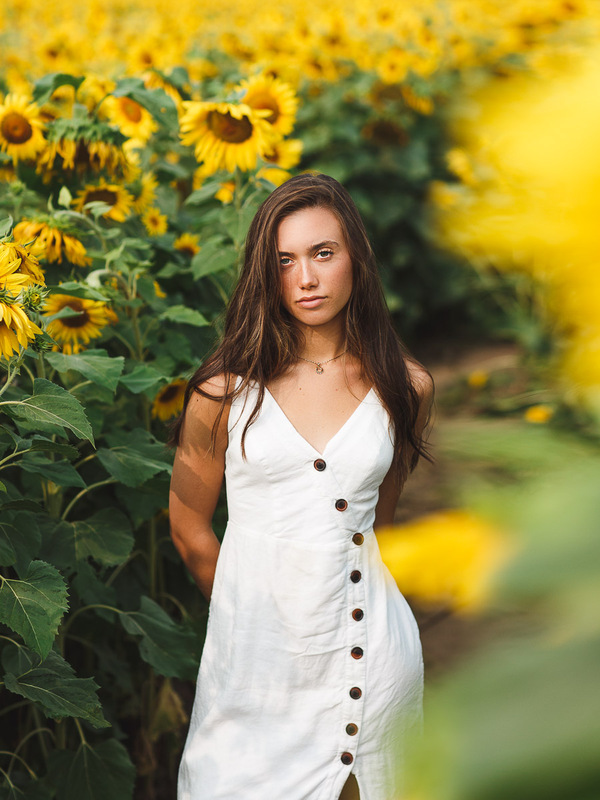 Hannah Meloche in a Sunflower Field — Darline and Co.
For weeks, we were hunting for a sunflower field to shoot this session in and we essentially gave up when two people finally let us know where one was in Grand Rapids! Without hesitation, we planned to do a shoot early within a day or two. We decided to do the photos at 9AM because that’s when the farm would be open to the public and I am very big on not trespassing and being respectful of other people’s property. I was really sad to read that people were transpassing and vandalizing their space so I wanted to be as respectful as we could be. It was very hard to shoot with the sun that high but we definitely made it work. It did help that we eventually had an overcast day but I didn’t want the details to be blown out. Hannah rocked it out even though we were running away from bees most of the time (haha). These are some of my favorite shots from the session and I can’t wait to go back this upcoming summer/fall time to shoot there again. Hopefully, they will bloom again!